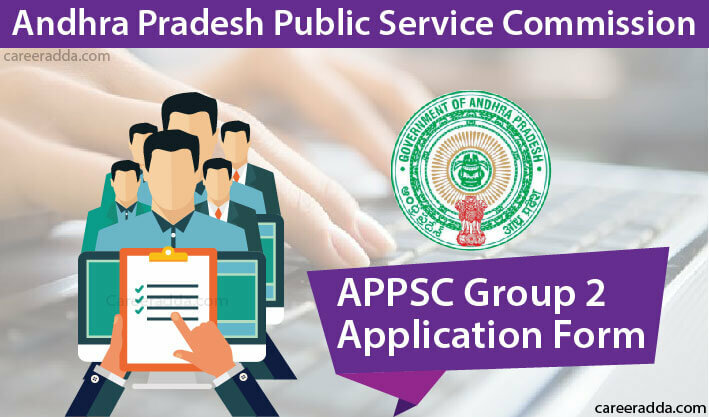 APPSC Group 2 Apply Online 2019 : APPSC Group 2 Application Form 2019 is available on APPSC Website @psc.ap.gov.in with the release of notification. Eligible candidates can apply online for attending Group II Screening Test to be conducted online on May 5th, 2019. 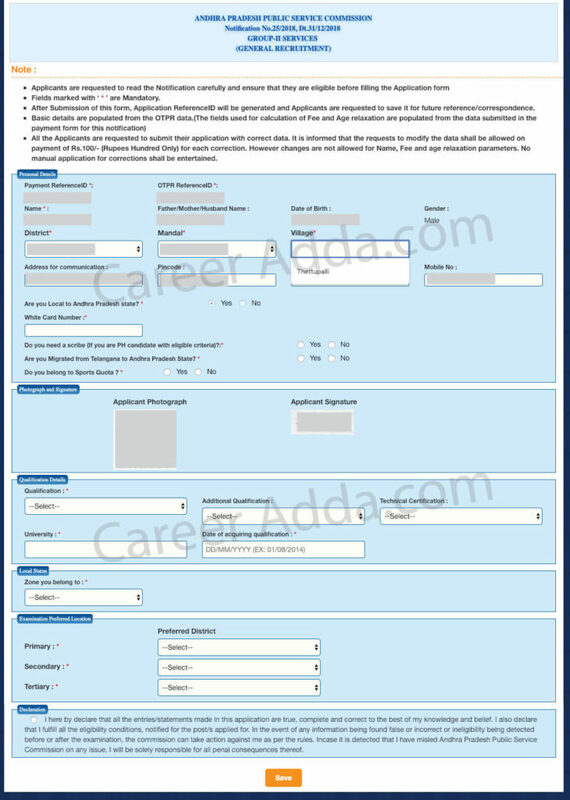 Direct link of APPSC Application form is pasted here to apply online for 446 group 2 vacant posts. As per latest news, Andhra Pradesh Public Service Commission has released APPSC group 2 notification 2018 for filling up of 446 vacant posts of Group-II available in several departments and the Secretariat Departments. With the release of notification, the process for online application submission has started on APPSC official website. The Government of Andhra Pradesh is ready to fill up nearly 18,450 vacant posts available in various departments and the Secretariat Departments. In order to keep things as per schedule, the government has called all the Heads of Departments and the Secretariat Departments including head of APPSC. Based on the meeting with Government, APPSC took necessary action for filling the vacant posts of group 2. The desirous eligible aspirants can apply to APPSC group 2 exam 2018 through the website psc.ap.gov.in after satisfying themselves with APPSC group 2 eligibility criteria/conditions. Further details are as follows. A candidate must have attained the age of 18 years and must not have attained the age of 36 years. AP Government General Administrative department notification dated December 4th, 2017 extended maximum age limit to 42 years, to be expired on September 30th 2018, further extension of age to be notified if any by GAD of Government of AP. Upper age limit shall be relaxed as under for certain categories. Excise Sub-Inspectors in Commissioner, Prob. & Excise Dept. Eligible candidates will be able to apply for APPSC Group 2 posts existing in various departments / units as mentioned above. 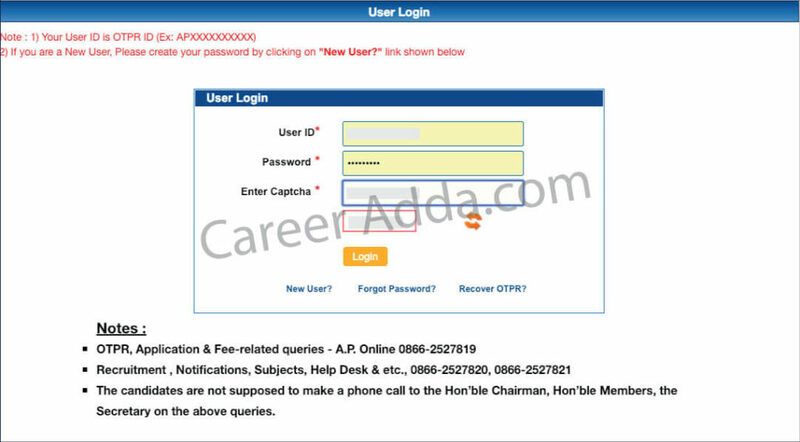 Candidates must note down that APPSC Group 2 application 2018 is available online on APPSC official website. APPSC Group 2 application submitted in other modes will not be accepted by the commission. APPSC Group 2 application form /Apply online process is given step by step below. Then enter your address details like correspondence address, email ID & mobile no. You will get an ID no. 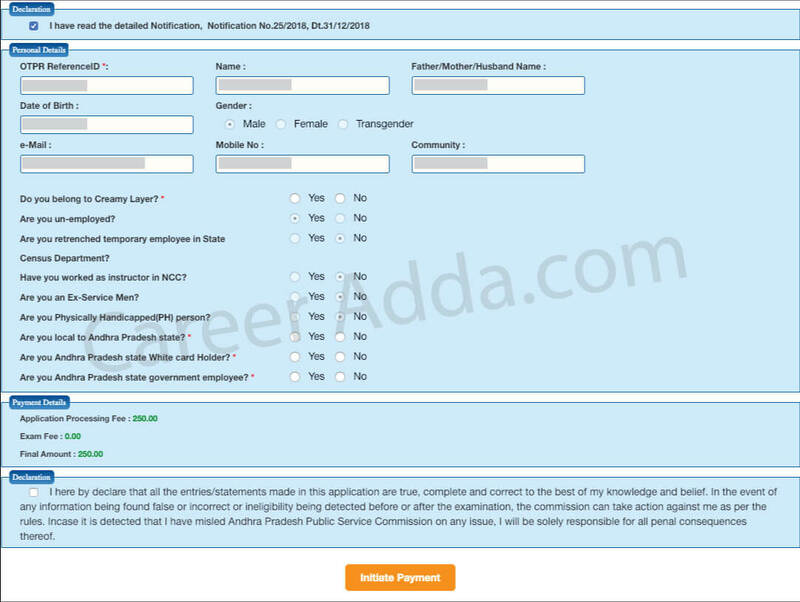 Provide your other details such as if you belong to creamy layer then select ‘Yes’ option, otherwise ‘No’ etc. Click on Online Application Submission’ section to fill and submit APPSC Group 2 application 2018 and follow above process under all users. Persons with disabilities, ex-servicemen, applicants of SC / ST/ BC category are required to pay an amount of Rs. 80/- towards fee. Other candidates [general] are required to pay an amount of Rs. 250/- towards application fee and 80/- towards examination fee i.e., General candidates need to pay totyal of Rs.330/-. APPSC Group 2 exam date of both prelim and main exam has been announced by APPSC. Screening Test will be conducted on 5th May 2019 and Main exam will be held on July 18th and 19th 2019. We will update this post with latest information along with changes if any on dates of APPSC group 2 exam 2018.